If you’re looking to refinance your home or possibly sell, you’ll need a killer appraisal. A bank will not refinance a home for more than it is worth, and a potential buyer will not pay more than the recognized value of the home. 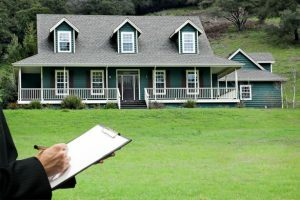 Here are 5 simple steps for a better home appraisal. Tidy your space Make sure your yard looks well-groomed and the interior of your home is clean clutter-free. It is well worth the investment to have the home professionally cleaned and have your yard serviced. Invest in the right types of renovations Kitchens and bathrooms are the best types of renovations. They will typically provide 80% ROI. High-efficiency appliances and upgrades that improve the overall efficiency of the home are well worth the investment. Document your upgrades Provide the appraiser with a list and documentation of all upgrades, renovations, and improvements to the home. Do your homework Research and provide your own comparable valuations for similar properties in the area. Note your tone. You don’t want to come off as defensive but rather helpful. Be available but not in the way Be present to assist with the process but don’t be the appraiser’s shadow. You want to appear helpful, not nervous that he’ll find something wrong! Appraisals can be helpful in increasing the sale of your home or assisting in refinancing your mortgage. Use these tips and you’ll get a better value for your home.